The COST Energic network (see VGIBox.eu ) is running a 2 day geolocated twitter chat, titled ‘Volunteered Geographic Information Day’ so the hashtag is #VGIDay. The conversation will take place on 14th and 15th May 2015, and we are universalists – join from anywhere in the world! Enable your phone to disclose your position – this will allow to geocode your tweets. 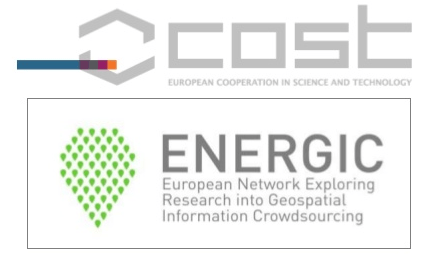 Discussions will be started by @COST_Energic. Through this twitter handle, we will share resources, results and ideas about the topic of VGI and geographic crowdsourcing. You can join the discussions, bring your ideas and links, and involve your contacts, and this will spread this event through the Twittersphere (and beyond? ).